The museum houses artifacts and exhibits that tell the story of the site from the days when the property was a Coastal Salish Indian burial site to the present time when it is home to the campus of Royal Roads University. The museum has many original artifacts from the days when Laura and James Dunsmuir lived an elegant life here on this estate. For 55 years the site was also an military officer’s training school and the museum highlights that era in a room named for one of the college’s most supportive commandants, Rear-Admiral John Charles. The displays also relate the development and history of one of Canada’s most innovative universities as Royal Road University evolves to meet the needs of learners in the global economy. 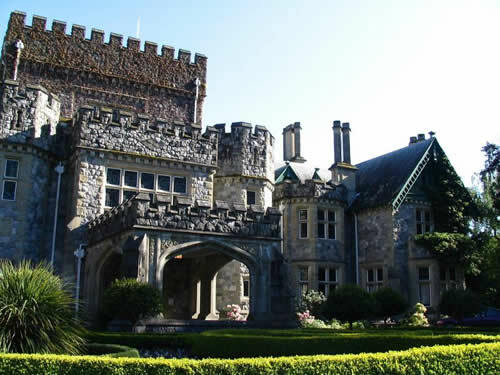 The muesum is dedicated to the preservation, restoration and heritage maintenance of Hatley Castle, together with the outbuildings and grounds and gardens, which were a part of the James and Laura Dunsmuir’s Hatley Park Estate, Royal Roads Military College and Royal Roads University. The museum aims to help visitors understand the significance of the site and the role of Hatley Park in the development of Vancouver Island and in the education of effective leaders for Canada, both through Royal Roads Military College and Royal Roads University. Hatley Park Museum is open every afternoon from 10:15 a.m. to 3:00 p.m. 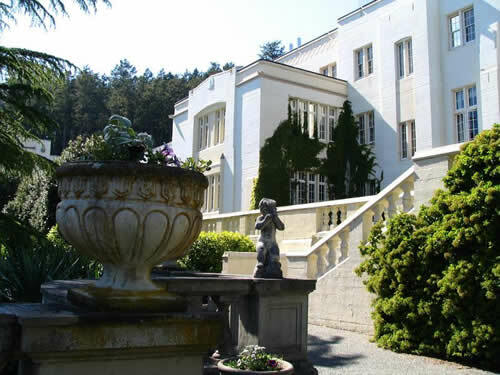 It is located in the basement of Hatley Park Castle, the administrative centre for Royal Roads University, 2005 Sooke Road, in Colwood on Vancouver Island. Admission is free. Donations are welcome, and guided tours are available.